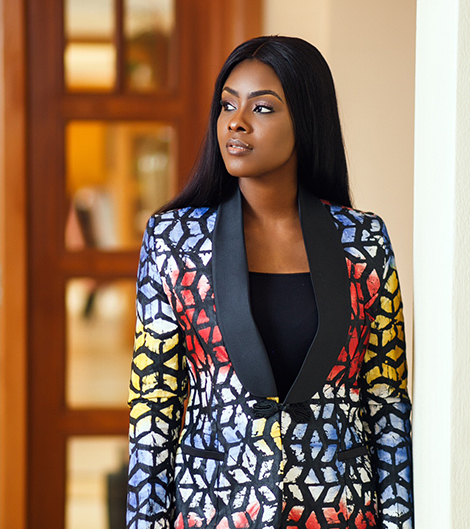 Started operations in 2015, The Adirelounge Textile Company has a mission of creating prosperity for African women, youths and their families. They achieve prosperity by creating unique, hand crafted products of the highest quality. Being able to do the work that they love and being empowered by financial independence leads to greater happiness. Our community is made up of women and youth who produce beautiful products using traditional methods, our employees who manage production, ensuring high quality and delivering personal customer service. Our customers, donors who make everything we do possible by purchasing our products and support the expansion of our programs leading to more jobs. Our Vision is to producing premium African Textile. At AdireLounge we have modernized the technical grain textile by integrating technology, design, and empowerment to strengthen financial inclusion in rural Nigeria. With this, we connect the dots between the textile value chains which begins with the production of cotton by cotton farmers in Nigeria to the fashionable garment worn by consumers, which drives the Nations GDP.